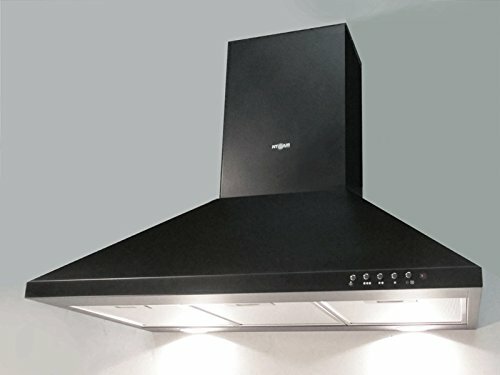 Range Hood Wall Mounted Black 36" CH-105-CS-BLK NT AIR. Made in Italy. Product prices and availability are accurate as of 2019-04-21 14:57:24 UTC and are subject to change. Any price and availability information displayed on http://www.amazon.com/ at the time of purchase will apply to the purchase of this product. NT AIR is the leading manufacturer of luxury Italian kitchen range hoods. For nearly 20 years NT AIR has combined superior technology, high-quality raw materials, and world-renowned Italian craftsmanship to create outstanding kitchen range hoods. Someone once said that "actions speak louder than words", so therefore NT AIR provides superior customer service and all NT AIR range hoods come with a 30-day refund return policy and a 3 year manufacturer's warranty. Our customer service is the best in the business, no competitor even comes close. 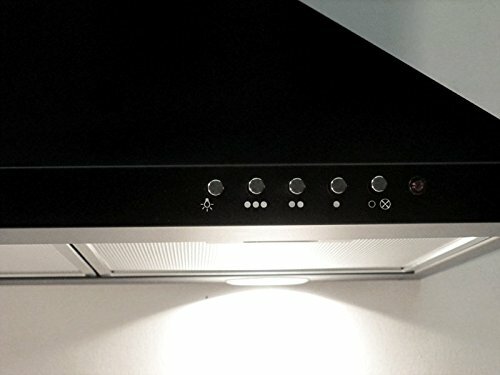 Therefore unique ultra-modern state of the art designs, unparalleled technology, superior customer service, and cutting edge expertise places NT AIR at the top of the kitchen ventilation industry. 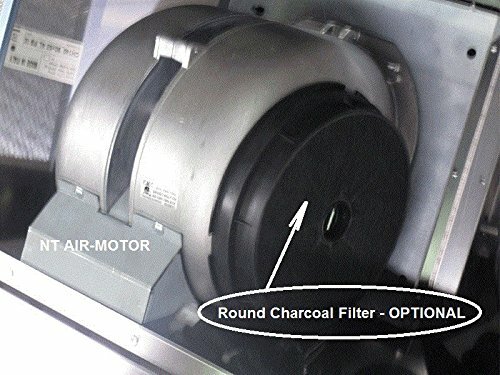 * Model: CH-105-CS BLK 36" NT AIR * 36" x 19" x 35" * BLACK * THREE washable FILTERS * Vent-DUCT/ductless * Two HALOGEN lights * Three speeds * Adjustable (telescopic) CHIMNEY from 15" up to 30" + 9" BASE * push-button CONTROL * Twin Lightweight MOTOR: 120V/60hz; 46dBA/52dBA; up to 940 CFM. * Noise level: 0.5 - 3.5 sones (Superbly Quiet). 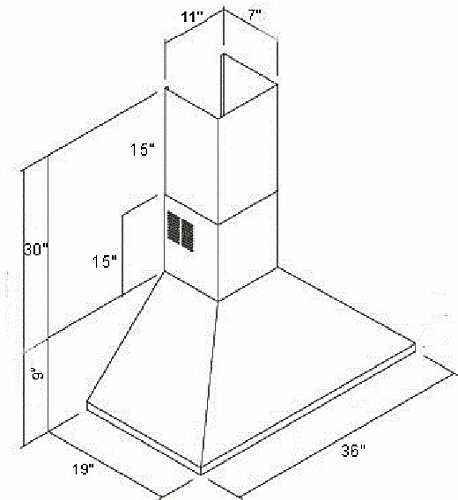 * Radio frequency interference protected * Made in Italy The shipping for this range hood consist from one box: 38"x 15"x 23" , 69 lb For a ductless (recirculating), use two round charcoal filters "Type A" that attach to the motor to help remove unwanted kitchen smells, this is an optional extra and the chimney section with the pre-cut vent must be used when outside ventilation is not possible. For shipping we use UPS.